Nell Shipman started out in life as Helen Foster-Barham and is remembered as an author, actress, and an important pioneering director of outdoor cinematography. She was one of a very few free-spirited women of the time who headed her own production company as producer, writer, director, and star. 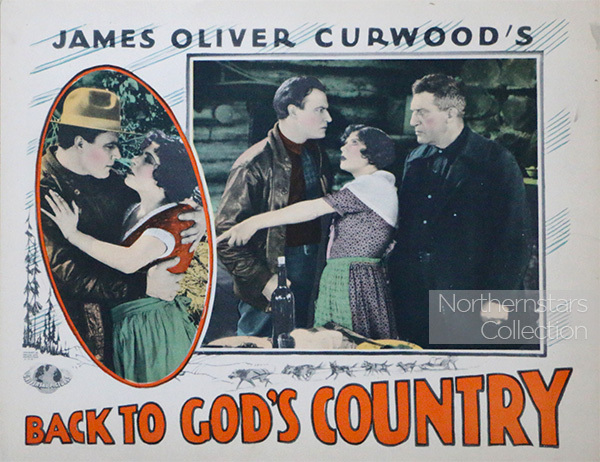 She is pictured in a scanned image from 1 of 4 original lobbycards for Back to God’s Country in the Northernstars Collection. Read more about Nell Shipman. 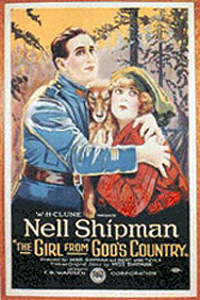 *The Golden Yukon was a retitled version of the 1923 film The Romance of the Lost Valley.